George R.R. Martin breaks his silence about the Game of Thrones prequels and his involvement while breaking news that a 5th script is being written as well. Earlier this month it was announced that four spin-offs were in the early stages of development for HBO with no firm timetable to get them out, since Game of Thrones season 7 has yet to air and the final season 8 is currently being written. It now appears that there is a 5th script in development as well according to a post from George R. R. Martin's Live Journal late Sunday evening. Martin officially cleared the air about what these spin-offs will be and what fans can expect. Martin says this. "What we're talking about are new stories set in the "secondary universe" (to borrow Tolkien's term) of Westeros and the world beyond, the world I created for A SONG OF ICE AND FIRE..."
This is the first official announcement from the author about the new Game of Thrones spin-offs indeed being prequels. Martin also went on to say exactly what the prequels, or "successor show" as he prefers to say, will not be, settling rumors as well as crushing hope for some hopeful fans. Martin continues to explain. None of these new shows will be 'spinning off' from Game of Thrones in the traditional sense. We are not talking Joey or AfterMASH or even Frazier or Lou Grant, where characters from one show continue on to another. So all of you who were hoping for the further adventures of Hot Pie are doomed to disappointment. Every one of the concepts under discussion is a prequel, rather than a sequel. Some may not even be set on Westeros. Rather than 'spinoff' or 'prequel,' however, I prefer the term 'successor show.' That's what I've been calling them." Martin also had a piece of news to share, announcing that there are five scripts in the early stages of development, not four as previously reported. While Max Borenstein, Jane Goldman, Brian Helgeland, and Cary Wray will handle the originally announced four scripts, an unnamed writer is working on a fifth script. Read what Martin had to say about the fifth writer below. "HBO announced the names of the first four, and will no doubt announce the fifth as well, once his deal has closed. He's a really terrific addition, however, a great guy and a fine writer, and aside from me and maybe Elio and Linda, I don't know anyone who knows and loves Westeros as well as he does." In addition, Martin will officially be working with all five writers instead of the two that were previously reported. This is very exciting news for fans of Game of Thrones, but Martin is cautious not to guarantee that we'll see 5 spin-offs in total, instead the author insinuates that time will tell what the pilots bring. Martin went on to further clarify what the new spin-offs will not be, speaking of his notoriously slow writing style and how he does not want to repeat the past. Martin goes on to say. Overall, it is refreshing to see Martin explaining his thought process about the worlds that he has carefully created and will go on to create. There is plenty of material to use for the upcoming additions to Game of Thrones and it's comforting to know that they will be handled with care by Martin and the new writers. 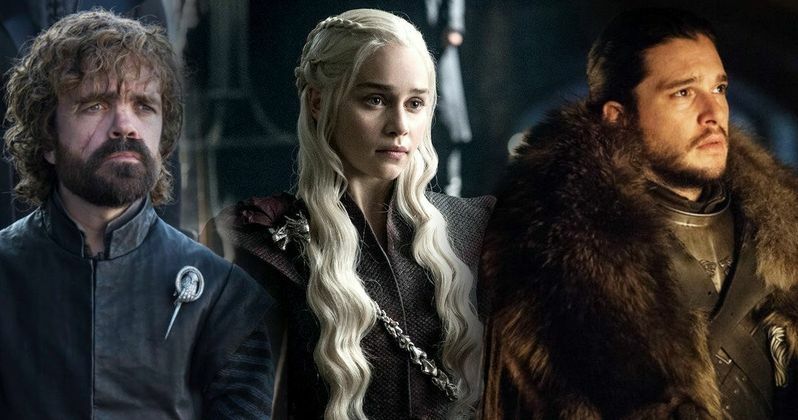 Current show-runners D. B. Weiss and David Benioff will be a part of the upcoming projects, but in a diminished role after the intense time of working on the original Game of Thrones series, which is good news and bad news to some fans. Regardless, we're getting new stories and new characters and that is exciting in its own right. No need to start bashing an idea that hasn't even been finished being written yet. As stated previously, there is no timetable for the prequels, but with Martin attached, Zen-like patience will be needed to get through the wait.